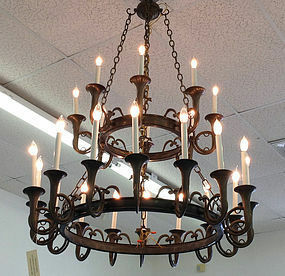 Large double tier hunting horn chandelier. Solid brass. Newly wired. 41" in diameter. 50" in height.